Notes: Good for forcing. 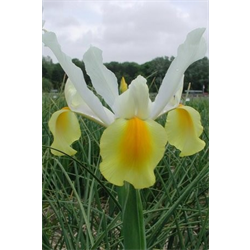 Dutch Iris flowers are a long-lasting, excellent cut flower or border item. If you can resist cutting the flowers for indoor use, they will come back faithfully in moderate southern climates.